Nash is one of my "Baby's First Year" babies.... meaning he gets his photo taken as a newborn, 6 month old, and 1 year old. Let me tell you this little man was MADE to be in front of a camera. From those big blue eyes to those ADORABLE baby rolls. He is bursting at the seams with excitement, giving away smiles without me even having to work for it (Not that I don't enjoy playing peek-a-boo with adorable babies behind my camera). Happy 6 months Nash! You are growing all too quickly! I cannot wait to see how much you've grown in 6 more months! 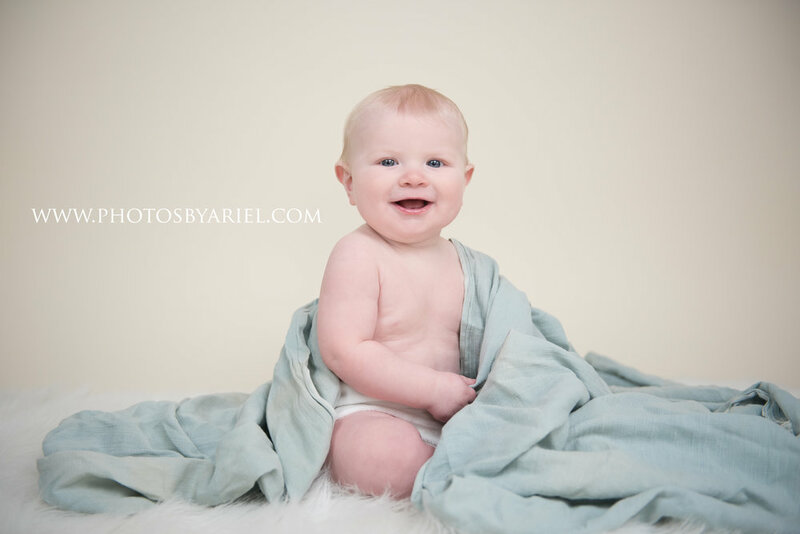 Enjoy these few sneak peeks from Nash's 6 month session! Older PostHappy 6 months Reese!